With seating for up to 150 guests, whether it is a private function, event or if you simply prefer to indulge in our afternoon tea menu, The Orangery has something for everyone. Staff was no where to be seen had to get up to look for a member of staff for a drink was not the best experience as I’ve been here many of times before and was not impressed by recent visit! Supervisor was doing al the work while waitress was no where to be seen. Lovely as ever, very attentive staff. We purchased our afternoon tea th through a Groupon deal which was excellent value for money. We had been before and enjoyed ourselves so had no hesitation booking again. The atmosphere is very pleasant and the food quality is splendid. Great variety. Came for afternoon tea with my mom, it was for my birthday. I have been here before that's why I keep going back. Could not fault anything, staff were pleasant and polite. Lovely sandwiches and cakes with coffee and a glass of Prosecco. Couldn't eat all the cakes so we were provided with a box so we could take any home what was left. Definitely recommend  it here. Will definately be coming again. A great treat for my mum and me. thank you for your lovely feedback. We are very happy to hear that your experience was enjoyable. Booked afternoon tea for my mums 70th and was pleasantly surprised at the service and care she received. We all had a wonderful time and would highly recommend it! thank you for you lovely feedback. We are happy to hear that your mum enjoyed her 70th birthday treat and was happy with the service she received. We have enjoyed afternoon tea in the Orangery before.The staff are attentive and friendly and make the event special. The food is dainty and plentiful. The venue is beautiful.Fabulous afternoon thank you....it made our special occasion special.Special thanks to the  amazing staff. Would highly recommend the afternoon tea. Food and service excellent . So happy to hear you had a lovely time and thank you for repeat custom. We appreciate your lovely feedback and hope to see you again soon. thank you for you positive feedback, look forward to seeing you again. I'm so sorry you were not made aware of the hot drinks, i have spoken to my staff and we will ensure that it is passed on to all guests. lovely to hear you enjoyed it overall, and thank you for your feedback. Was during the week so very quiet. Sandwiches were a little dry and limited. Cakes, however, were delicious. Will go again as it's really good value for money and a lovely setting. so sorry to hear about the sandwiches, all our sandwiches are made fresh on the day so will ensure that on next visit they are fresh. We are happy that the cakes were to your liking. I have no idea why I have been sent a feed back form. I had a reservation booked for 2 people on the 17th September 2018 for 2pm for an afternoon tea for my nans 75th birthday. 1.5 hours before our slot, o received a phone call to say that our reservation had to be cancelled because you were not yet open. I think it is quite disgusting that such short notice was given when you obviously knew that you would not be open, considering i had booked this in August. This left me with no chance to book elsewhere as it was last minute and I also lost an annual leave. Very let down as have been here before and thoroughly enjoyed it, and also ruined a big birthday. 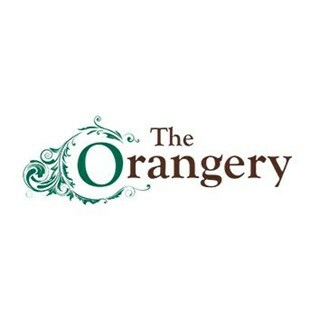 The setting is lovely in the orangery and service was very good. My only minor issue is the coffee was a bit weak for me although my daughter said it was fine and the chairs look amazing but there was some movement in them so felt a bit rickety. We had a beautiful afternoon celebrating our mums birthday. Staff were really accommodating and friendly. Would recommend and are looking to.come back ourselves in the very near future. having used the hotel/restaurants on many occasions and also having afternoon tea before, I am sad to state that this visit did not impress me. 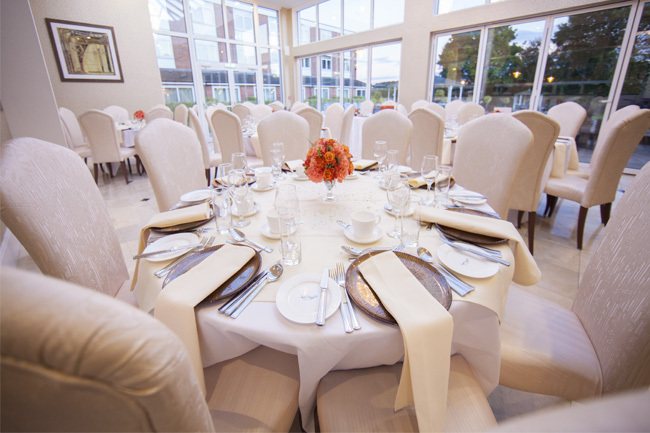 On our initial welcome we were welcomed and shown to our table to find it was not ready.... the orangery was not busy there seemed to be plenty of staff but we just had to stand and wait while they then in front of us removed stale plates et and redressed the table. Very disappointed in general with the service standard. Lovely afternoon in calm quiet beautiful surroundings. Fantastic value for money and so much to eat we had to bring takeaway home ! Thanks to you all!